A research team from the University of Manitoba in Winnipeg, Canada, completed 4 weeks of research and education in sustainable tourism and conservation in Grenada on 2 March. The highlight of their trip was a 5-day celebration of Grenada’s birds at Belmont Estate. The staff at Belmont Estate and students from the University of Manitoba came together once again, to celebrate Grenada’s Birds, themed “A Festival for our Feathered Friends!” from Thursday 23 to Friday 24 February, 2017. Celebrating Grenada’s Birds is part of a Memorandum of Understanding (MOU) with the University to promote cooperation through educational and academic exchanges in the area of Bird Conservation within agro-eco systems in rural areas. Already in its second year, Celebrating Grenada’s Birds participants were of all ages, and were invited to enjoy a day with the birds that included expert-led walks to help identify species by sight and sound, wild bird catching and release demonstrations. Students and birders alike, learned about some of the issues facing Grenada’s birds today and how scientists and citizens alike can lend a helping hand in bird conservation and appreciation. Over 300 Grenadian students from elementary and high schools participated in the bird celebrations, where they learned about bird’s habitats, foods, and watched scientific research in action. 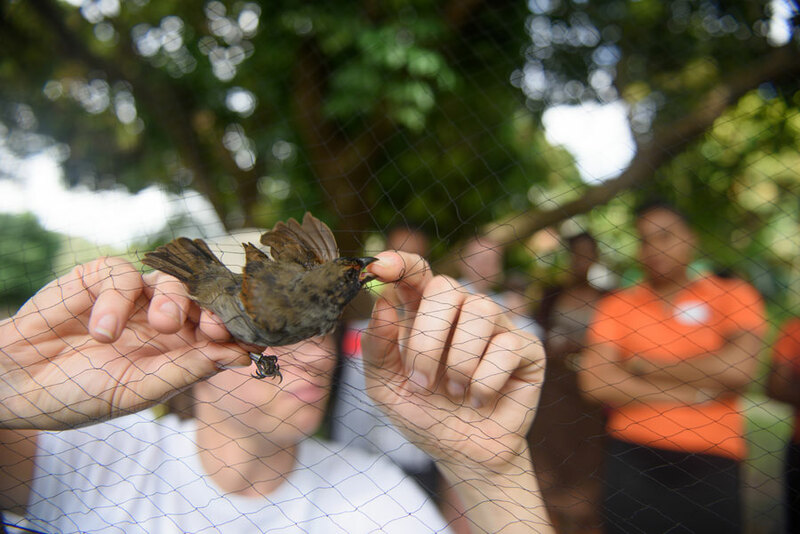 Students from the Marine, Wildlife, and Conservation Biology program at St George’s University also joined researchers to learn about research methods and conservation of Grenada’s birds. Drs Nicola Koper and Michael Campbell brought graduate students from Grenada, Canada, the USA, and India, to develop the birding celebration as part of a field course offered by the Natural Resources Institute at the University of Manitoba. 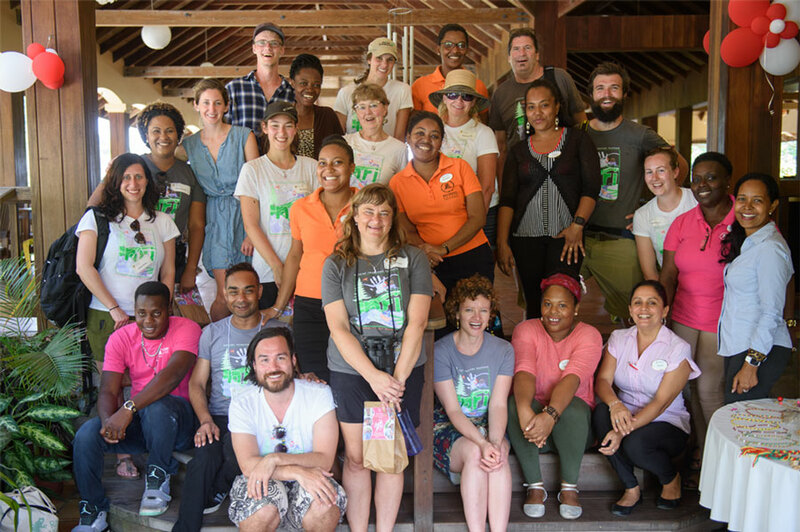 As part of the course, they toured the island, snorkelled, and met with tourists, academics, and representatives of government, The Nature Conservancy, and Belmont Estate, to learn how tourism can contribute to environmental conservation and economic development. 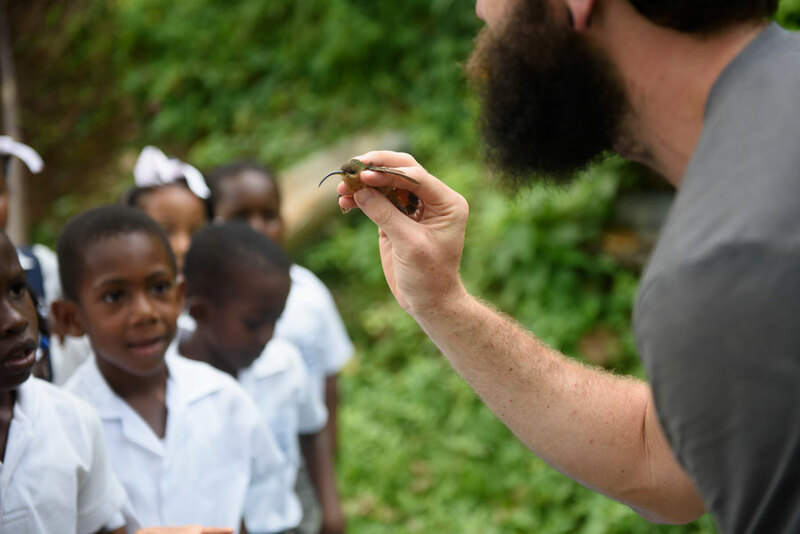 Then the graduate students worked with Belmont Estate to pass on their love of Grenada’s birds to kids, members of the public, and tourists. “We all felt that we got so much out of the course, in terms of learning and enjoyment of Grenada’s gorgeous landscapes, that we really wanted to give something back to the community,” said Dr Koper. 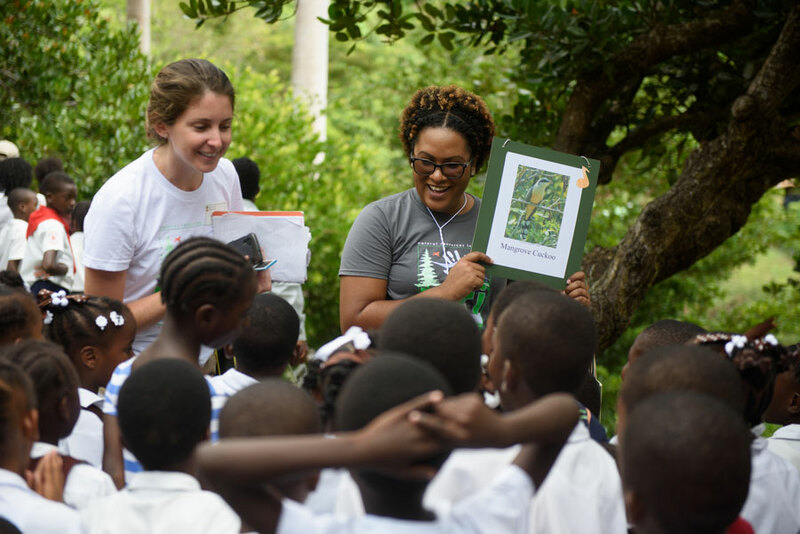 “Our graduate students learned about management and Caribbean wildlife from the Grenadian community, and then passed on their knowledge of birds and sustainable development to kids and adults we met here. It was a perfect collaboration.” In addition to supervising many other students, Dr Koper has brought 3 Grenadians to Canada to conduct Masters degrees under her supervision since 2014: Jody Daniel, Ezra Campbell, and Ramon Williams. The research team also conducted research on Grenada’s birds before and after the field course. Dr Koper and graduate students Paulson Des Brisay, Hannah Carey, Alexandra Heathcote, Nicholas Bergen and Marie-Eve Cyr captured, measured, and released over 200 birds at sites across Grenada. They also placed individually numbered aluminum bands on bird’s legs. “About 20% of the birds we caught had been banded by our team in previous visits,” said Dr Koper. “When we capture them again we can tell how long they’ve lived and whether they are equally healthy at all times of the year and in all habitats across the island.” Among the species they studied are Lesser Antillean Tanagers and Grenada Flycatchers, both species that are only found in Grenada and St Vincent.